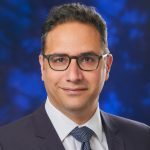 Dr. Bahmanyar is a board-certified Hematopathologist, currently is practising as a Hematopathologist at Fraser Health Authority (FHA). He is also the Regional Medical Lead for Transfusion Medicine at Fraser Health Authority (FHA). Dr.Bahmanyar received his medical degree in Shiraz, Iran, followed by post-graduate residency training in Anatomical and Clinical Pathology (AP/CP) at Kerman University in Iran. He practiced as a Pathologist in Iran before he commenced his residency training in Hematological Pathology at the University of Toronto. He is a fellow of the Royal College of Physicians and Surgeons of Canada (RCPSC). Dr. Bahmanyar’s area of practice includes Hematological pathology with special interest in bone marrow pathology and Transfusion medicine. He is actively engaged in medical student and resident teaching both at the UBC and other institutions. His area of research interest is primarily focused on morphology, flow cytometry, and cytogenetics of hematological malignancies including multiple myeloma, myelodysplastic syndrome, and acute leukemia. The other areas of his research activities include Transfusion Medicine concerning the management of massive hemorrhage, adverse consequences of transfusion, and transfusion related-errors. Pourabdullah M, Bahmanyar M, Atenafu EG, Hou J, Chang H. High IKZF1/3 protein expression is a favorable prognostic factor for survival of relapsed/refractory multiple myeloma patients treated with lenalidomide. J Hematol Oncol 2016 Nov 21:9(1):123. Hematological malignancies including multiple myeloma, myelodysplastic syndrome, and acute leukemia as well as Transfusion Medicine. Structured blood smear and bone marrow morphology, blood transfusion and coagulation teaching for Hematology/Hematopathology residents and medical students.